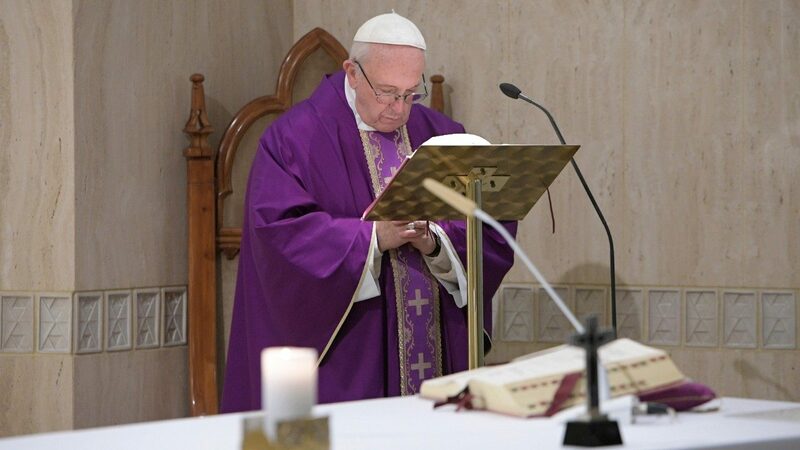 Pope Francis recommended looking at the crucifix as the cure when people are depressed or tired, according to the Vatican News report of his March 20, 2018, homily at Mass at Casa Santa Marta in the Vatican. The Pope noted how the people became frustrated by the long journey, lost hope, complained and suffered the bites of serpents. The serpents are an external system of poisoned hearts. But the people could be saved by gazing on the serpent Moses made and placed on a pole. And what was its power?